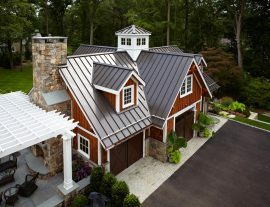 TR Building & Remodeling is an award winning residential construction company dedicated to providing exceptional customer service to both Homeowners and Architects throughout Fairfield County, Connecticut. With over 30 years of industry knowledge, our services range from Design Build, Kitchens and Baths, and Architect Bid Projects. For each of these specialties, we are committed to providing the highest level of personalized customer care and superior craftsmanship. Proudly serving New Canaan, Darien, Stamford, Westport, Ridgefield, Greenwich, and surrounding areas in Connecticut. Our construction process creates a collaborative relationship between architect, builder, and Client and ensures peace-of-mind for the Client, as they know one company has complete accountability for their project from design to construction. No matter the size or scope of your project, our design build team can bring your vision to reality. If you are contemplating a kitchen or bath remodel, or any project in your home that requires custom millwork and cabinetry, allow us to assist you in the interpretation of your dreams. 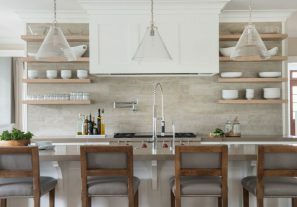 We partner with a high- end custom cabinet line to design cabinetry and millwork offering a multitude of aesthetics in traditional, transitional and modern styles. If you are currently working with an architect and are in the process of finding the right contractor for your project, we have successfully partnered with many homeowners and architects over the years to bring their vision to reality. Our goal is to produce predictable results on schedule and on budget every time so our clients have the best and most enjoyable experience possible. I’ve been asked to write a recommendation for TR Building & Remodeling and frankly, it’s a pleasure. My experience w/ TR Building & Remodeling involved the reconstruction of my kitchen and dining room. The process began on Sept. 8th and ended on Dec. 12th. These were the dates promised and delivered to me. If you’ve used contractors in the past, you know how unusual this is! In addition, I wasn’t deluged with constant change orders. Todds’ estimate at the outset was the price I paid. That was a first for me with any construction project I had ever undertaken. And furthermore, my blood pressure never went up the entire time all the crews were in my home. If there was a problem it was fixed on the spot by the TR Building & Remodeling project foreman. That is a very high level of service. And most importantly, the quality of the work is superb. TR Building & Remodeling stands by the work they did here to this day. TR Building & Remodeling is more expensive – they should be. They are a Ducati in a field of Vespas. TR Building & Remodeling understood the level and quality I expected, and I was 100% satisfied with the end result. There’s not much more anyone could ask for. The entire experience was wonderful from start to finish. I would use the same team for any future projects as well as recommend them highly to anyone embarking on a renovation of any scope or level of difficulty. As we are wrapping up our third home renovation project with TR Building & Remodeling, we have consistently experienced excellence from the proposal/planning stages down to the last finishing touches. Their detailed planning enabled them to predictably estimate each project’s completion time and we were always informed of each project’s status and progress along the way. They settled for nothing less than our full satisfaction with each phase of the work. I would highly recommend TR Building & Remodeling for any construction project. Dana McAvity | Director, Time for Lyme, Inc.